The high velocity pistol ammo is used by pistols and submachine guns. Its notable differences from regular pistol ammo include faster bullet travel and increased crafting cost. 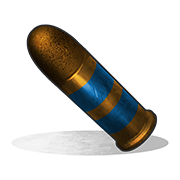 An item in which is useless in all cases except for the event where a player has no other ammo for their pistol.